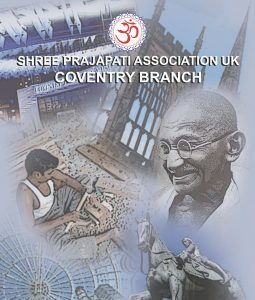 Welcome Shree Prajapati Association Coventry Branch. Namaste and welcome to Shree Prajapati Association (UK) Coventry Branch web site and hope that you will take pleasure from visit to this site which has the information on latest news, events, and meetings for both local and nationally arranged programmes. We welcome your views and ideas in order to ensure we continue improvement and allow our Samaj to grow and move forward. If you have any suggestions please click here to e-mail us.